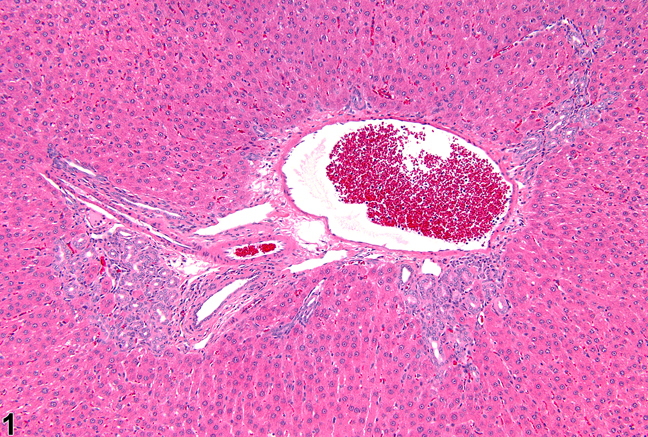 Bile duct hyperplasia in a female F344/N rat from a subchronic study. 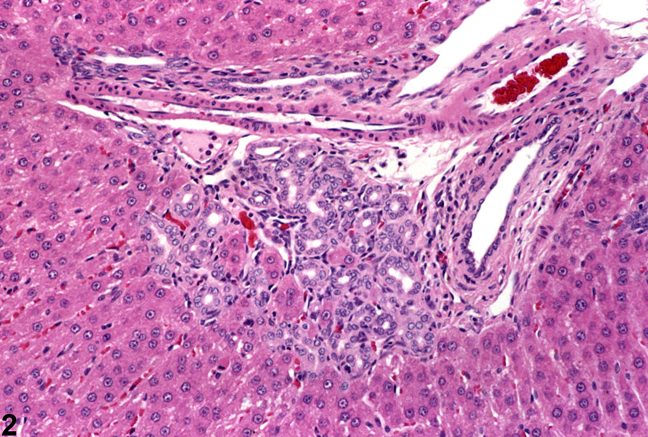 Bile duct hyperplasia in a female F344/N rat from a subchronic study (higher magnification of Figure 1). Bile duct hyperplasia is not commonly seen in prechronic studies but is a common aging lesion. In chronic studies, the occasional occurrence of bile duct hyperplasia in the absence of any differences in incidence or severity among study groups likely represents a background lesion. It is more commonly seen in rats than in mice. Only some portal areas may be affected. 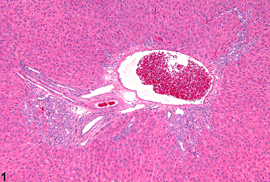 Biliary hyperplasia may be associated with peribiliary fibrosis. When accompanied by inflammatory cells and/or oval cell proliferation, bile duct hyperplasia may be the consequence of a toxic insult. 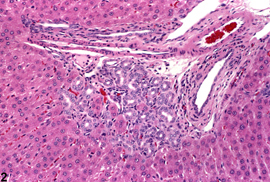 Figure 1 and Figure 2 show a single focal area of hyperplasia; similar lesions were not present in the other liver sections examined from this rat. This degree of bile duct hyperplasia is not commonly present in control rats in 90-day studies.